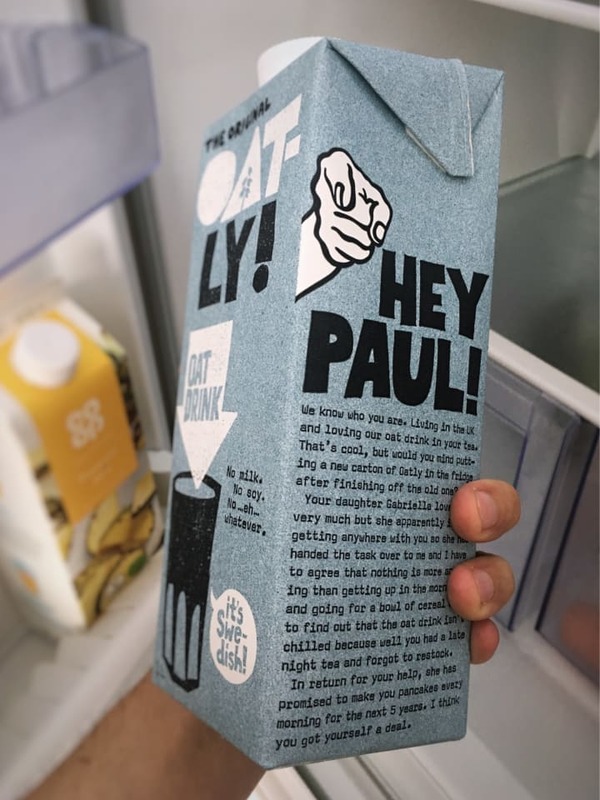 Quite the unnerving experience as I went to open a new carton of Oatly… what the actual fork!? Reading the small print, it seems like they’re attempting to freak out another Paul. Phew!